We Create is a process-oriented multidisciplinary festival that gives artists the opportunity to create original works around an annual theme during a period of 6 months. Artists meet twice during that period to share and discuss their process; the final work is presented at the We Create festival. We Create is a creative think-tank; its a school of thought that deconstructs old paradigms to provide fresh perspectives. We Create has become a favorite in the Massachusetts arts community! The first week of April, Boston comes alive as a vibrant city committed to the support of self-identified women and gender non-conforming artists. 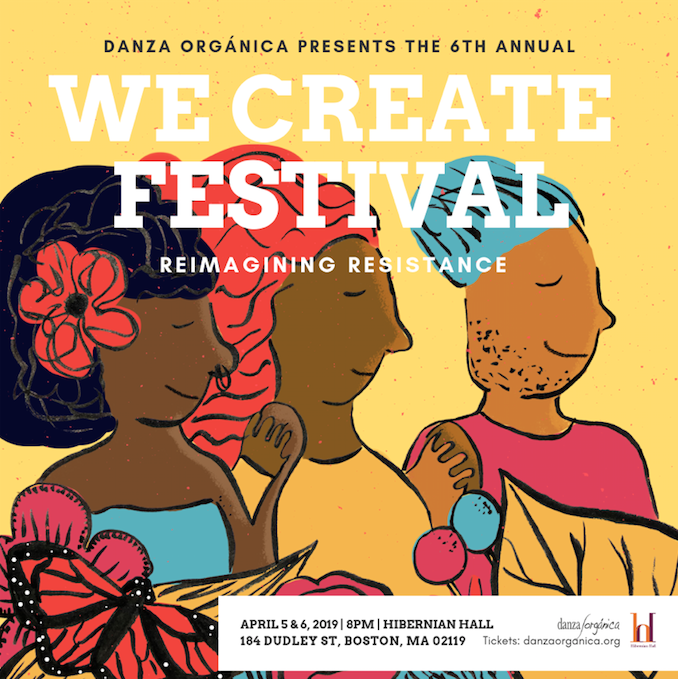 Renowned and upcoming artists from Massachusetts, New England, and Puerto Rico- share with you an unparalleled feast of music, dance, film, circus arts, and media arts.